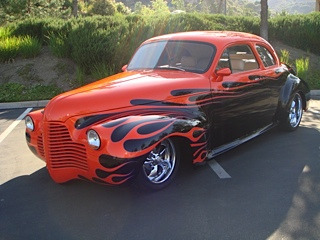 Vehicle to be offered for Auction sale January 18th � 22nd, 2012 at Russo and Steele\’s 12th Annual Scottsdale Arizona Auction. Please contact us for more information. 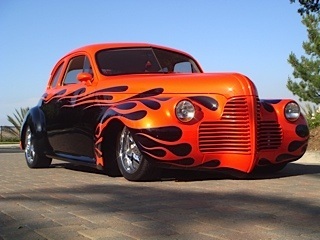 This 1940 Buick Super Coupe features a 355 Cubic inch Gm ZZ4 355HP engine which produces 409 ft. pounds of torque. It is equipped with Forged Crank Hypereutectic Pistons, Hydraulic Roller Cam and Lifters, and aluminum heads. 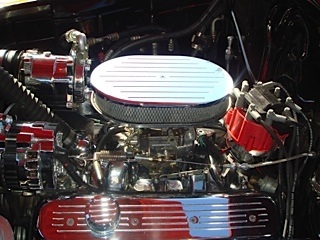 All components are Chrome with Durashine manifold. This beauty Looks like a \”Trailer Queen\”, but can be driven anywhere and is very dependable. It has 72 Awards, plus 15 \”BEST IN SHOWS\” in the last 36 months. The Paint condition is nearly flawless; no rock dings or chips. 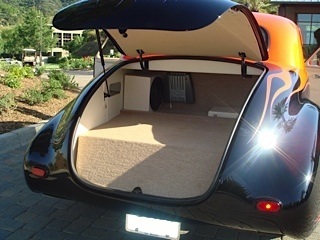 The car comes with a custom bra and cover, extremely roomy interior, comfortable back seat and overall has much more interior area than Chevy and Ford models. 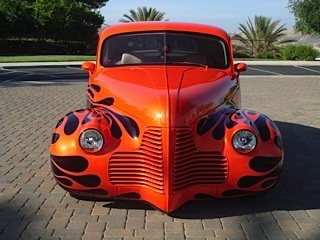 An Eye Catching, one of a kind Buick. Additional Features include: Trans: 4L60E By B&M Trans, 2500 Stall Conv. Body: Shaved -Decked – Trimmed – One Piece Power Hood, Molded & Widened Fenders, Electric / HYD one piece hood. Paint: House of Kolors Suspension: Front Mustang II with Shockwave Air Ride, Rear 8.8 Ford Rear 3:27 Gears, Super Leaf Slider Springs with Air Assist Shocks. Wheels: Boyd Chrome Legend Wheels 17\” and 20\’s\”. 4 Wheels 13\” disc. with Hydraulic Electric Assist. 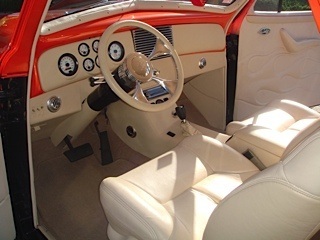 Interior: Ultra Leather, Lt. and Rt. 8 way Power Seats, GM Tilt Column, Panasonic Stereo, 10 Disc CD Changer, VDO Gauges, Vintage air and heat, Power Windows, doors and trunk.